RTFA! 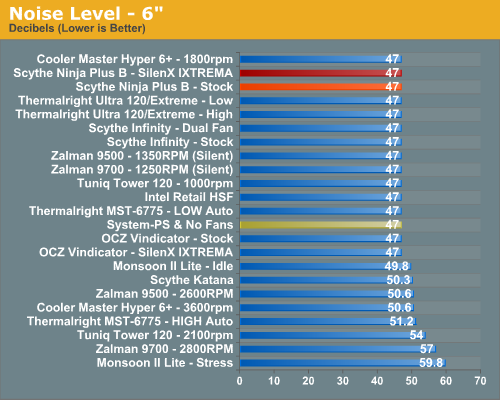 The stock fans are different, and there's no reason to compare the OCZ with the Ninja fan or the Ninja with the Vindicator fan. If someone is going to but a heatsink and use a different fan, they're a lot more likely to go with... I dunno, maybe something like a SilenX? 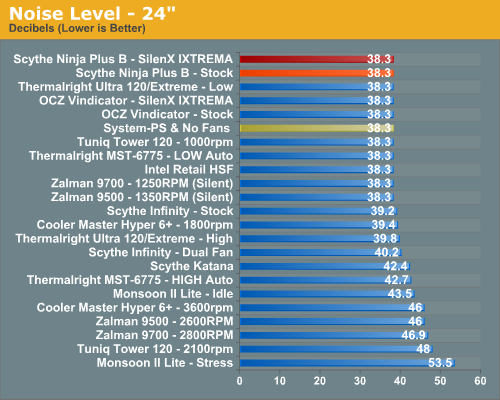 They used the same aftermarket fan for both non-stock configurations, and the Ninja performed slightly better in the termperature tests. Isn't that the informaiton you wanted??? Ah, I see... you want them to do something like maybe a fan roundup, right? Maybe if you ask nicely instead of using words like useless and pointless they might do a http://www.anandtech.com/casecooling/showdoc.aspx?... ">120mm fan roundup? 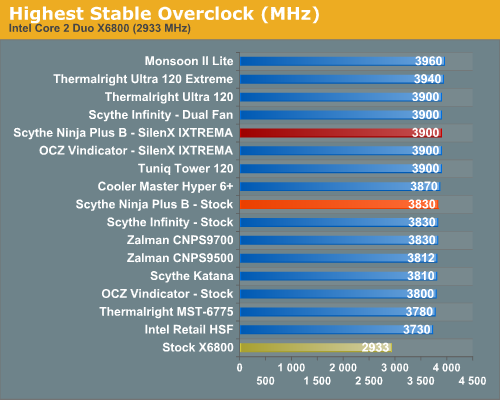 Outside of the Thermalright coolers however, I'd expect just about everyone to go with the stock fan anyway.